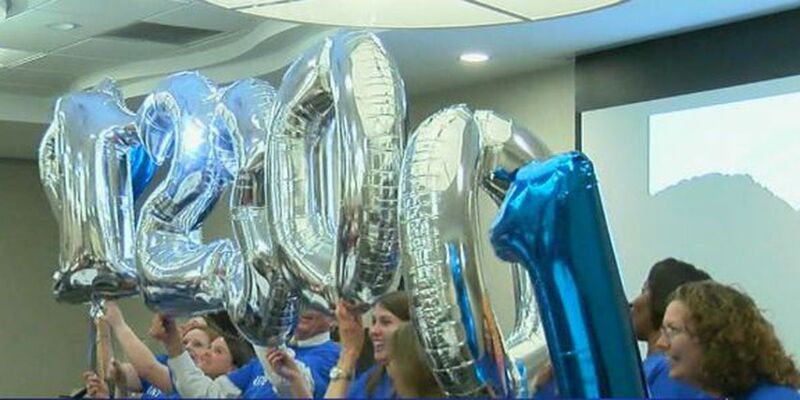 COLUMBUS, GA (WTVM) - The local United Way announced a new record set in its fundraising. In their 2016 campaign, the United Way of the Chattahoochee Valley beat their goal and raised a little more than $7.1 million, the most ever for the organization. The final tally was announced to a crowd during a thank-you event Tuesday night at the Courtyard Marriott in Phenix City. The money - donated by 16,000 people from 150 companies - goes to dozens of non-profit organizations in our area. "Well it's great. The money that we raised goes to help the people in the Chattahoochee Valley that need the help the most and so we just say thank you to the entire community for an out pouring of support and another great campaign," said Keith Pierce, United Way campaign chair and TSYS executive Vice President. Phenix City Police Chief Raymond Smith was named the 2017 United Way Campaign Chair. Also at Tuesday's event, the United Way handed out numerous awards: Wade Burford as Volunteer of the year; The Phenix City Government for Company of the year; Zeni Travis of Regional Rehab for the Campaign coordinator of the year; Sue Hall of Kodak getting the Women Helping Women Volunteer Award; Publix given the Every1Counts Award; and TSYS with the Million Dollar Round Table Award for contributions. Jason rejoined the WTVM staff in August 2007 and now anchors News Leader 9 at 5:00, 6:00 and 11:00. He has 15 years of experience in the TV news business, most of that time in Columbus and East Alabama.